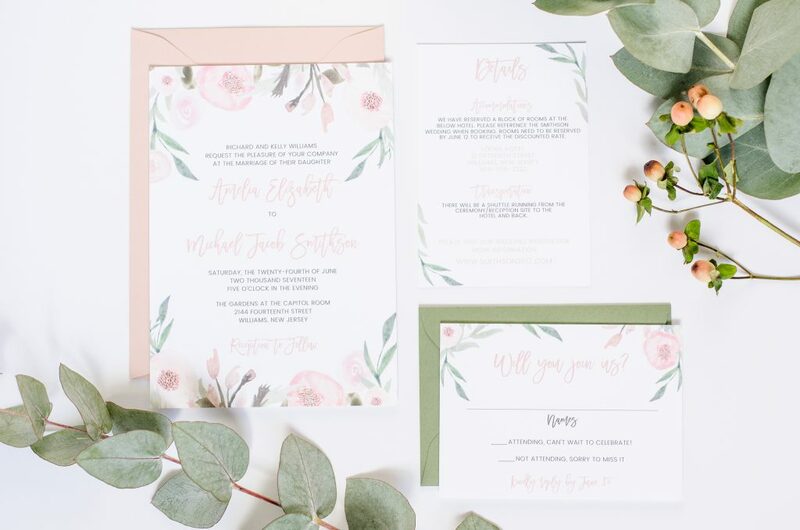 These blush and greenery wedding invitations turned out beautifully! This custom design was created for a couple that had an overall neutral wedding color palette, with lots of greenery and rose gold accents. I knew we would be a great match as soon as the bride mentioned using floral artwork when discussing the overall concept. 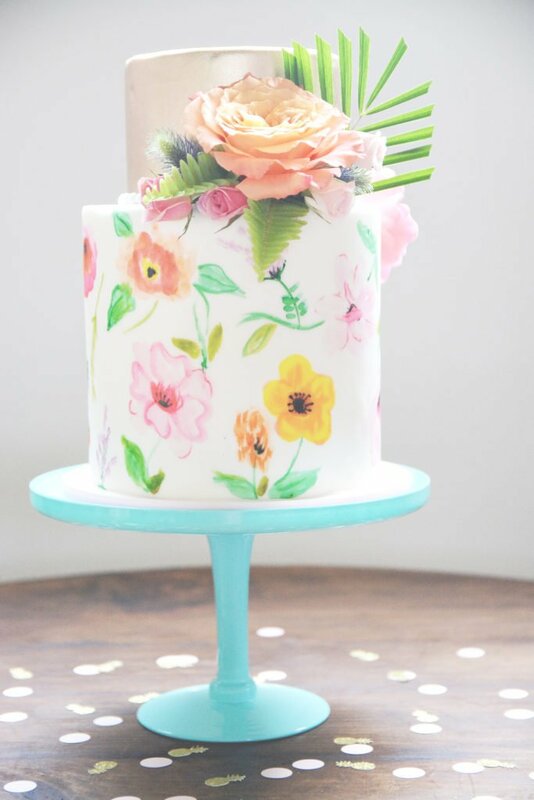 I fell in love with these florals and luckily the bride-to-be felt the same way! 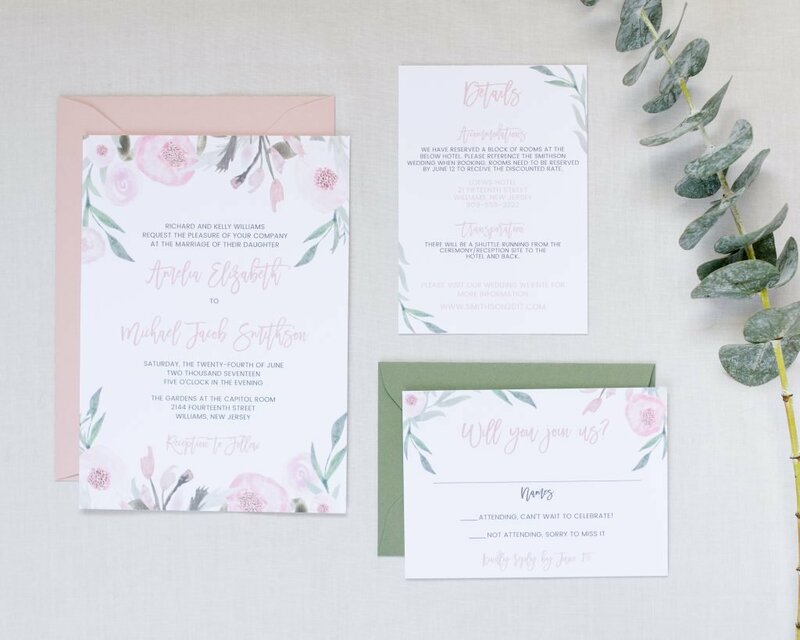 The mailing envelope was chosen in a neutral pink, while the RSVP envelope was done in a green to make the overall feel a little more Earthy. The bride requested a fun script font with a handwritten feel and this one turned out to be perfect. Truth be told, it’s one of my very favorites! This is truly the result of a bride with a vision, who trusted my style and design. 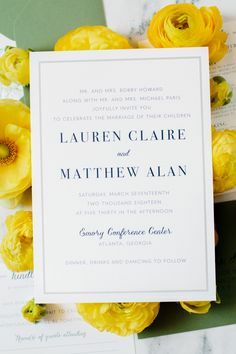 The result of these wedding invitations is so true to my aesthetic and what I love to create! I look forward to working with more couples who have similar visions for their own weddings. You can read more about my custom design process here or get a quote for these invitations here. 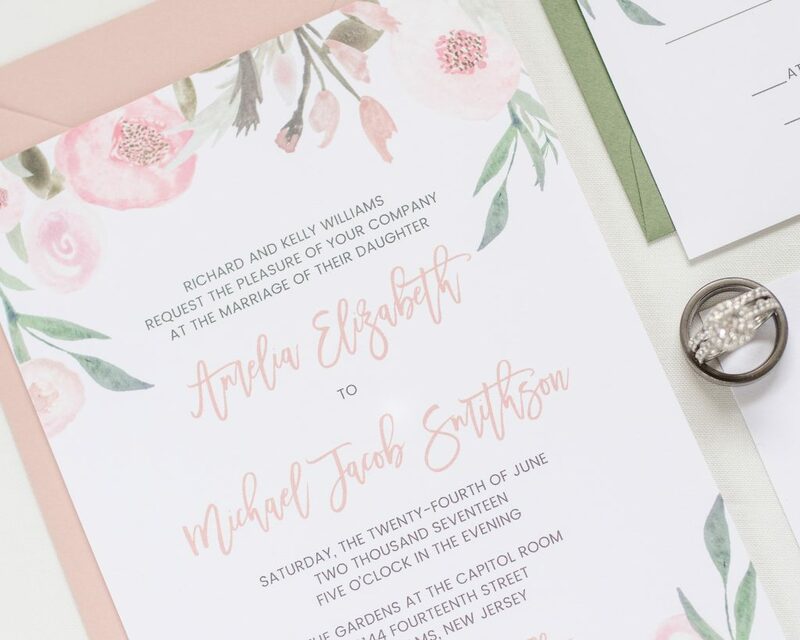 When it comes to ordering wedding invitations, there is no shortage of options. Some couples choose to buy their invites online, from large websites. Others decide to design and print themselves. Then there are those who find designers who specialize in working one-on-one with couples to create their wedding invitations. Different folks have different reasons for choosing where to buy, which is wonderful because that is what makes the world go round! 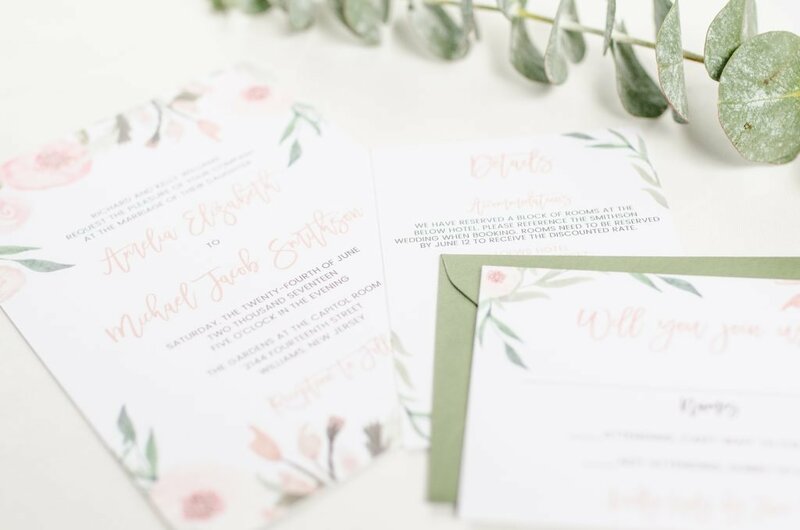 Most couples purchasing wedding invitations have never done so before and hiring a professional is a great way to ensure you get a top of the line experience and product. Hiring a designer ensures that someone with experience can handle the job, while you sit back and relax. No need to worry about printing methods, CMYK, bleeds, crop marks, or paper types. Not to mention figuring out where to source printing or envelopes! 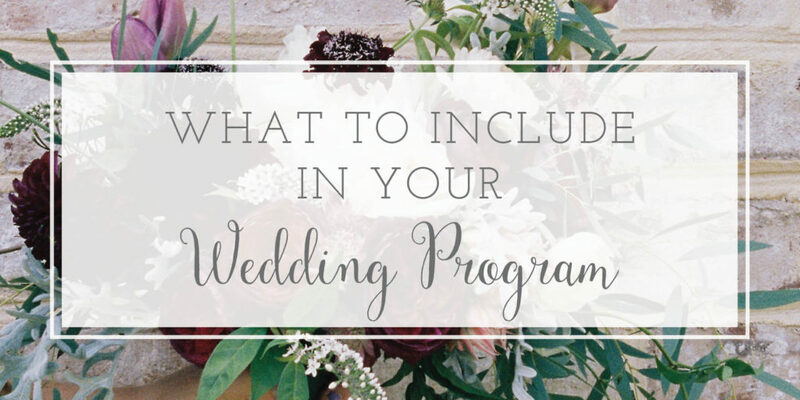 Sure, you can spend (a lot of) time researching to figure all this out but who has time for that during wedding planning?! 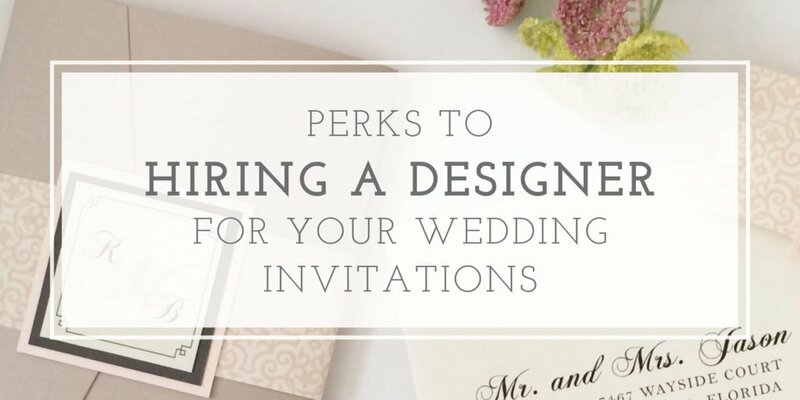 Finding someone with wedding invitation experience will ensure you have a great experience! Working one-on-one allows me to develop somewhat of a friendship with every couple that hires me. You get an entirely different experience than if you were to input your information into a large website and click a button to purchase. 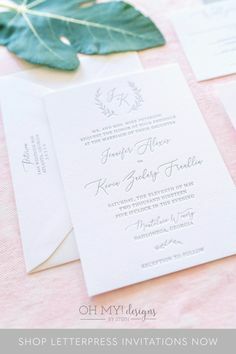 Speaking of clicking a button to purchase, do you think the people behind the screen are available to help you with your questions about wedding invitation wording? My guess is no. They’re there to print your information into an existing design, which is totally fine if you’re wanting to skip the proofing process and email exchange that goes into working with a designer. If you haven’t ever ordered wedding invitations before (likely), it’s so wonderful to be able to work with a designer so you can ask specific questions regarding wording and etiquette. I provide a wording guide on my website with specific examples and offer suggestions throughout the entire process. My couples love that they can be a little “hands off” knowing I will reword and format their information in the best way possible. I don’t want to talk trash here, because I’ve seen some beautiful invitations that were DIY’ed or ordered from large wedding websites. 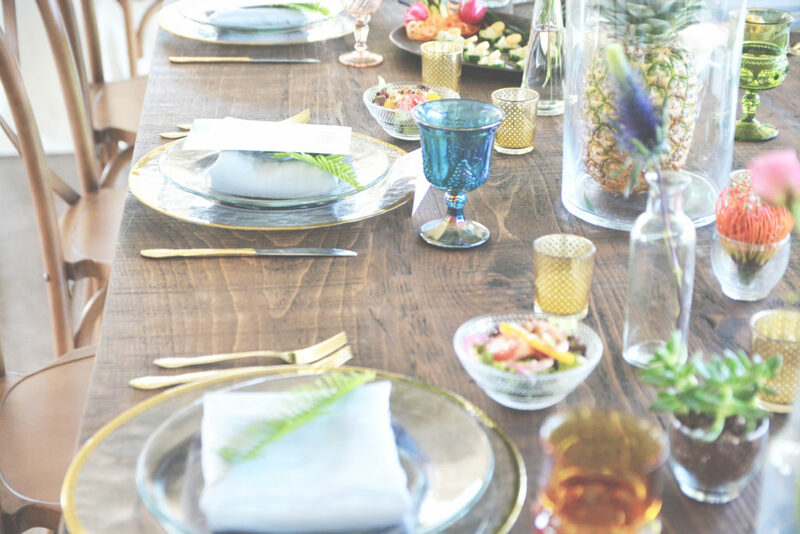 To be honest, a majority of the big online invitation retailers do have a great product! However there are a few websites out there that give the others a bad name. With constant sales, coupon codes, and pricing that even my wholesaler can’t beat, I caution you to order a sample before placing your full order with them. In many cases, you get what you pay for and since these are your wedding invitations I wouldn’t risk it! Because I work with a limited number of clients and focus on wedding invitations, I’m able to really control the quality of my products. I go through each order after it is done at the printer and make sure everything is perfect. If there’s an issue, I go back to the printer to fix it and my clients never even know! Sneaky? Nah, I’m just doing my job! Our wedding invitations turned out just as we had imagined them. Steph was incredibly responsive and quickly sent new proofs when I had an update. She was also willing to offer advice when I wasn’t sure how to phrase something. I honestly couldn’t stop smiling when I saw the finished product, and I’m so glad we chose oh my! designs for our invitations! Working with oh my! designs by steph was such a great experience! Steph was very quick to respond and helped walk me through every step to design the perfect wedding invitations. She made this stressful time of wedding planning a breeze! The finish product arrived beautifully packaged and perfect! You would be so lucky to have her help make part of your wedding dreams come true! I don’t think I can say enough about how great Steph is to work with! I initially found her on Instagram and loved her designs but thought custom invitations were way out of my price range. Boy, was I wrong! Steph’s pricing is fair and reasonable in my opinion. 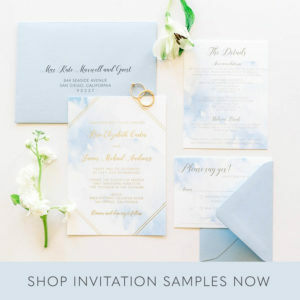 I was completely overwhelmed with all of the options available through the “big box” companies you see online and I just wanted a simple and classic invitation that matched my aesthetic. Steph made the process so incredibly easy and we worked entirely through email together. She asked about our colors, any fonts we liked, and had us type out our invitation wording so we got exactly what we wanted. I even asked if we could use a dark blue shimmer paper with white writing and she tested it with her printing company to make sure it would come out right at no cost to us. The finished product came in last week and they look so amazing! It’s everything we wanted, it didn’t break the bank, and best of all Steph made the process stress free. I can’t thank her enough! You won’t regret having Steph create your invitations, I promise! In the end, your wedding invitation is the very first impression guests get of your big day. It’s also one of the only things you get to keep after the wedding has ended. Choose wisely when deciding where to order your invites and consider working with a professional! 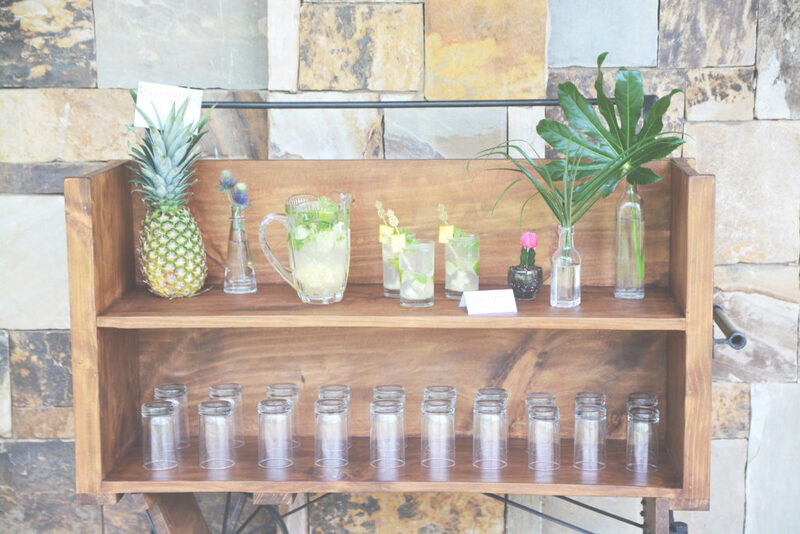 This tropical wedding styled shoot was actual #goals. 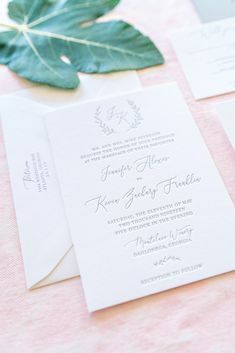 I had so much fun creating the invitation suite and working with some amazing Atlanta vendors. 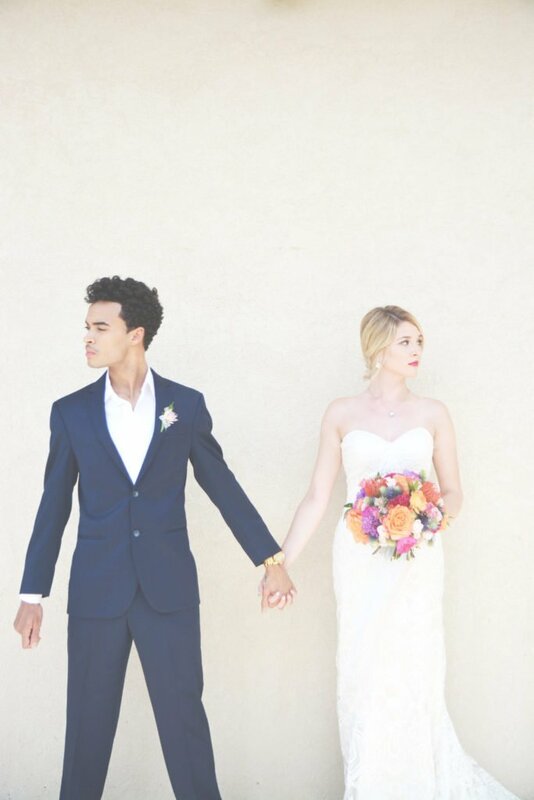 As the stationery gal, I rarely get to see styled shoots (or wedding days) in action. Being on the scene, I really got the chance to see how everything is brought to life! 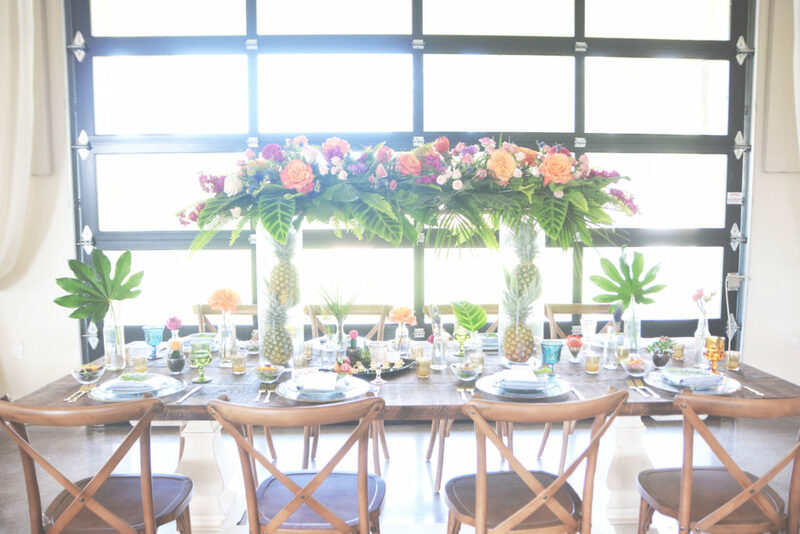 Jackie of Blooming Hites was the creative vision behind this tropical shoot. 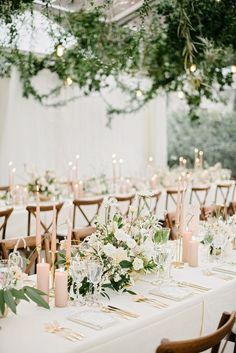 The Greystone Estate couldn’t have been a better setting – it’s a gorgeous, open venue in Ballground, Georgia with somewhat of a blank canvas feel, great for a wedding with any theme! 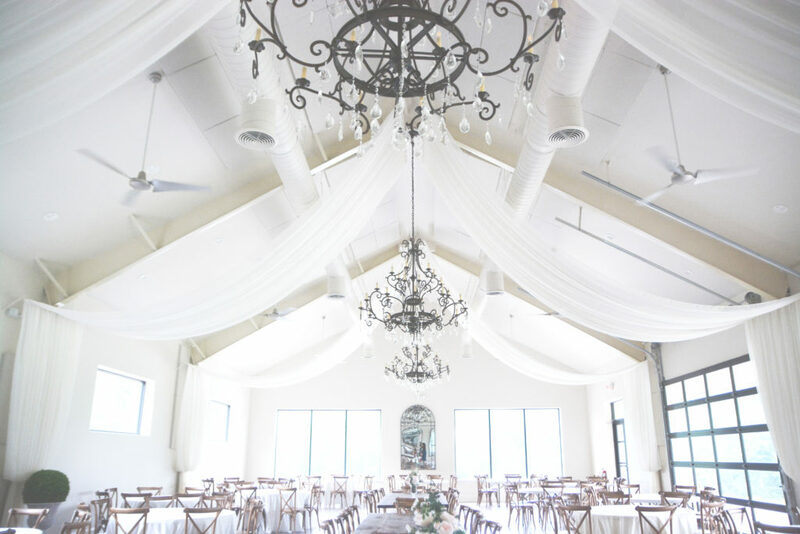 The owner, Mary, is so sweet and works closely with couples who get married at the venue. Karen of Winey Blonde Events helped plan and style, while Schellie of Six Hearts Photography captured every detail perfectly. The entire list of this vendor dream team is included at the bottom of this post. 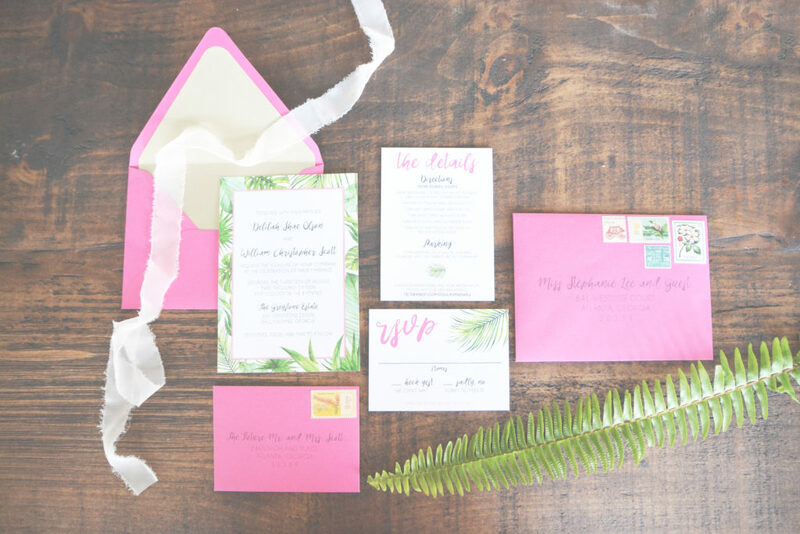 I designed the invitations with a tropical, fiesta feel in mind. 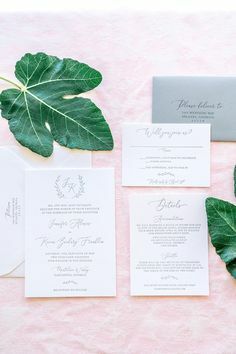 When I think tropical, I immediately envision lush, greenery and knew I wanted to incorporate leaves into the invitation suite. To keep with the bright, colorful theme, I used hot pink accents and envelopes. This suite was printed on felt cardstock (my favorite!) and paired with a gold leaf envelope liner to give it some glam. In a wedding, the invitation suite is the first impression yours guests get of your big day. It should really encompass the overall feel of your wedding and I really think this suite accomplished that in this styled shoot! 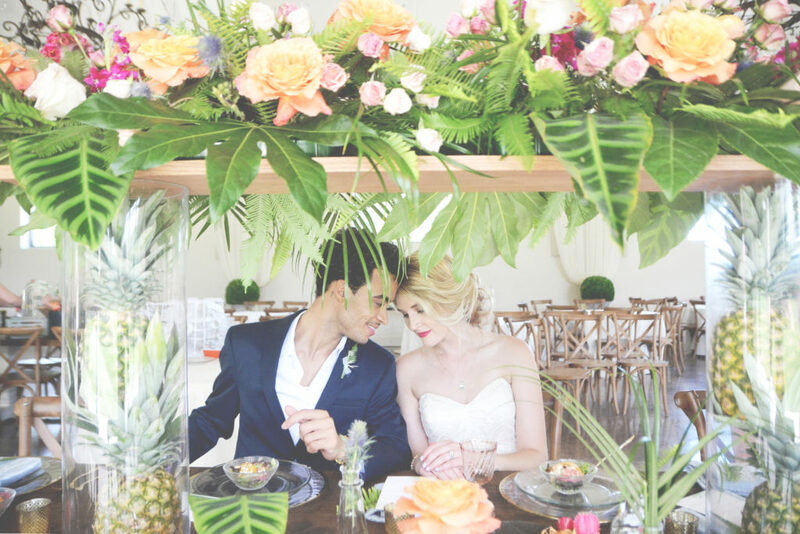 You can see this tropical styled shoot published on Bespoke Bride and . During the design process, it is important to focus on proofreading along with editing the overall look of your wedding invitations. I include three rounds of proofs, or changes, to allow for any edits or corrections to be made prior to printing. I leave the final approval up to clients and ask them to carefully review each piece of their suite. 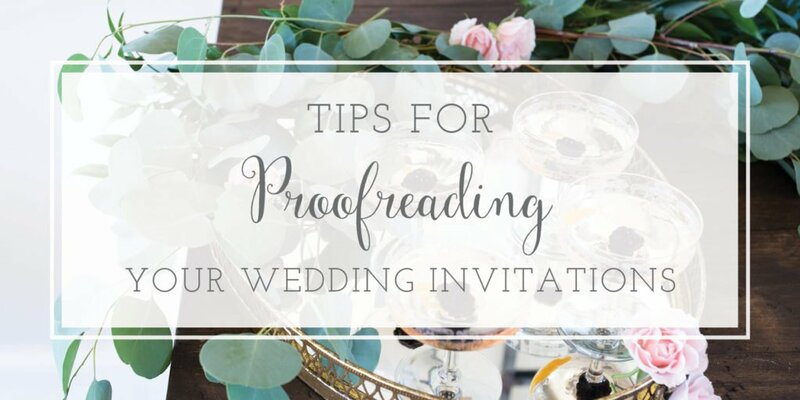 Here are a few tips for proofreading your wedding invitations to ensure they are perfect before going to print! Have your fiancé, wedding planner, mom, or friend to look over the proofs after you have. Between the designer and the client, there’s a good chance you’ve viewed these proofs a whole bunch of times. It’s good to get a fresh set of eyes to review everything before signing off your final approval. 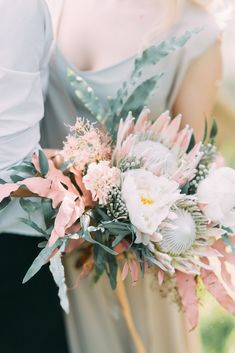 Often couples are including a link to their wedding website to direct guests for further information about their big day, typically listed on the details insert card. Try typing the link you have into your browser to make sure it is correct – add or remove any prefixes as necessary. Sometimes when reading words in order, it can be harder to notice a spelling order. Our brains kind of “auto correct” and might skip a mistake because the words make sense together. By reading backwards you are isolating each word and are more likely to identify an error. Look over the invitation and insert cards carefully to make sure spacing is correct. When drafting up proofs, sometimes an extra space might accidently get added. This can be a very small error, but checking closely can ensure all spacing is as it should be. When proofreading, you’re easily able to notice an error in your names or general words because it’s something you are familiar with. The venue name and address is more likely to get missed. Double check that the full name, street address, city, and state are spelled out correctly. 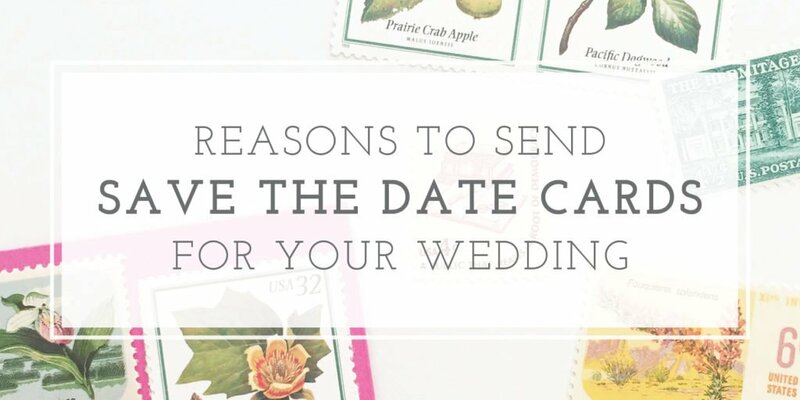 Read my post on what not to include in your wedding invitations. Some mistakes you might not even know you are making, like using abbreviations or adding unnecessary information. Take your time in reviewing proofs and check everything during each round of the design process. Have any more tips to proofreading wedding invitations? Leave them in the comments below! 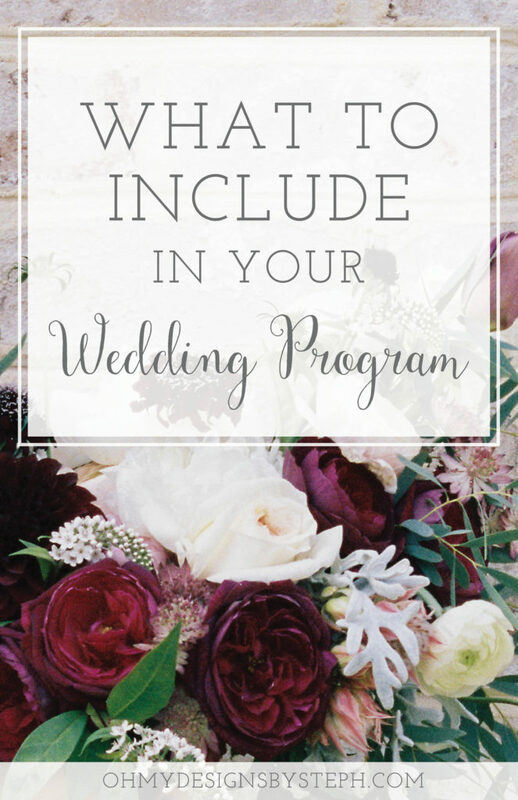 What is Included in Wedding Programs? 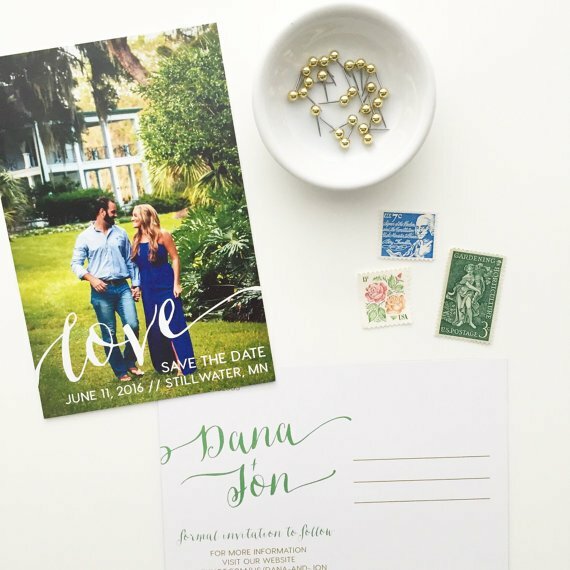 After your wedding invitations have been mailed, it’s time to start thinking about “day of stationery”. I offer several different types of day of stationery including menus and name cards but by far the most popular is wedding programs. 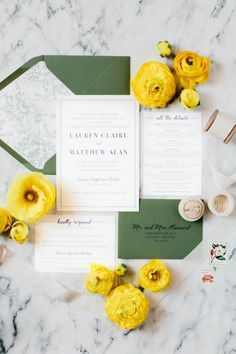 Like the invitations, the programs create a first impression of the ceremony. They are a great way to let your guests know what to expect during the ceremony and acknowledge your family and bridal party. From chalkboards and mirrors to pamphlets and fans, there are so many variations of wedding programs to choose from. When considering what to use, you’ll have to factor in budget, timeline, availability, and resources. For example, in the case of a smaller wedding, it might be more cost effective to order printed programs. If you’re having a large wedding, hiring someone to write on a chalkboard may be less expensive than ordering a ton of programs. Of course, if you’re using a calligrapher for a large surface you will need to find someone local. However, I can ship paper programs anywhere in the US! I’m sharing what to include in your paper program, as other variations may be different. 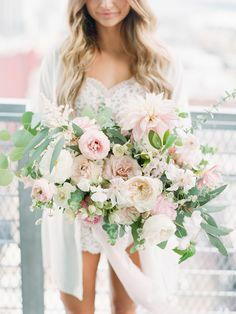 Typically the wedding program begins with wording along the lines of “welcome to the wedding of” and the full names of the bride and groom. Include the date, venue or church name, and the city and state where the ceremony is taking place. Next up is the order of events. 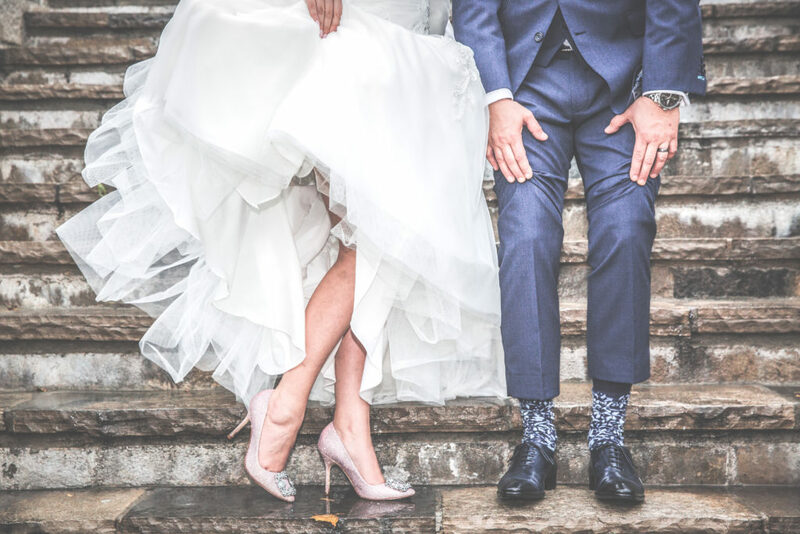 This is a timeline of what will happen during the ceremony and traditionally lists out the processional, exchange of vows, pronouncement of marriage, and recessional. If there are any readings or songs, it is appropriate to include them with this portion of the wedding program. With many religious ceremonies, there is a specific template to how the ceremony events should be listed. You can view some examples on The Knot. Listing the names of parents and grandparents is common practice along with the bridal party. 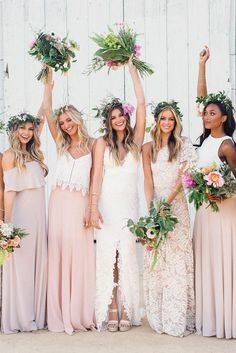 With the bridesmaids and groomsmen, you may note who is the maid of honor and best man. Some wedding programs include each person’s relationship to the bride and groom. For example, Bridesmaid Jane Smith is a childhood friend of the bride. Although this isn’t necessary, I think it’s a nice way to “introduce” these important people to your guests. If there are ushers or a flower girl or ring bearer, it is traditional to include their names along with the pastor or officiant. Often in the double-sided programs I create, there is additional space after including all of the above. I’ve seen couples use this space as a “in memory of” section to name relatives who have passed away or as a general “thank you” to their family and friends for attending their wedding. 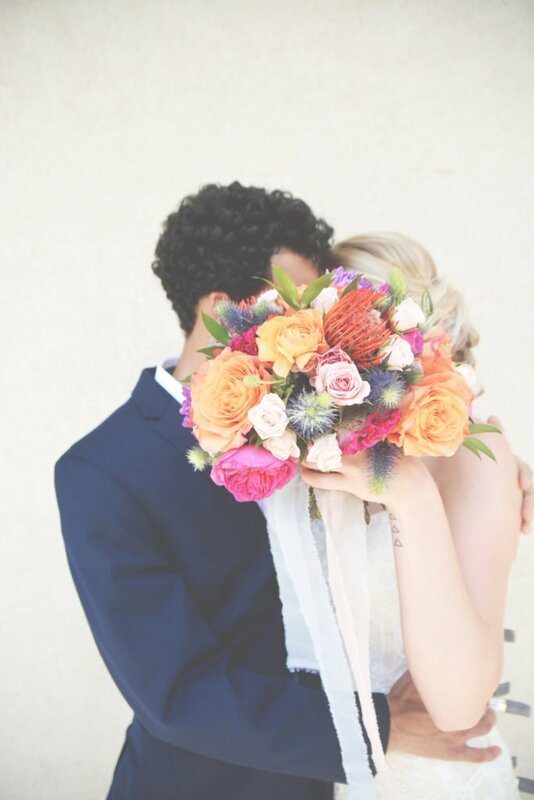 It can also be used to tell the story of how the bride and groom met or display the wedding hashtag. In the spirit of fun over tradition, I think the ceremony program is a place to get creative. There is no right or wrong way to word the wedding program and guests often appreciate seeing something different than the typical outline. I love new ideas and would enjoy helping you execute your vision! So it’s time to order your wedding invitations and you just can’t find “the one”. 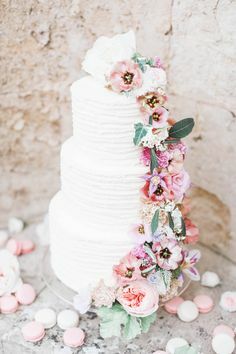 Maybe you have visions of something that doesn’t yet exist or you want something created specially for your big day based on your wedding theme and inspiration. In either case, many designers offer the option to create a unique, from-scratch suite if you’re willing to participate in their process. Custom designs take time, collaboration, and bouncing ideas between the client and designer. 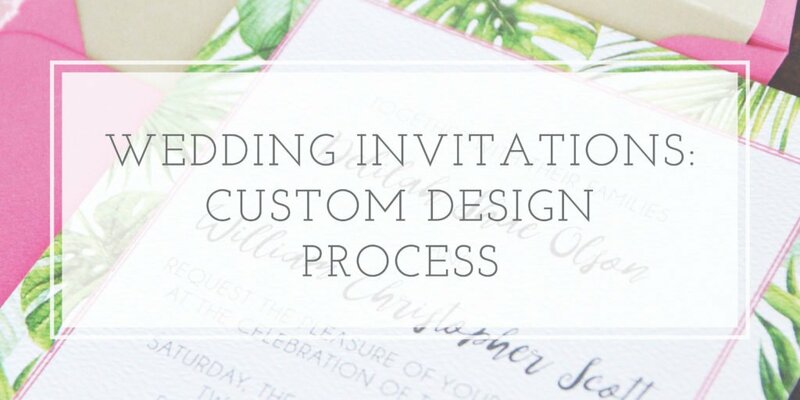 It’s a constantly evolving process and I’m sharing what goes into creating custom designed wedding invitations! It’s important to find a designer who has a style similar to what you’re looking for since the custom design process is so collaborative. Both parties, the client and designer, need to enjoy this process and communicate openly. I want to do my best work and if I feel that I may not be a good fit for a potential client, will refer them out. I want to make sure this is a positive experience for everyone and creates a result you are so excited about! In order to make sure I am a good fit for a custom job, I ask for inspiration from the client. I love to see images other than stationery – custom designs should begin with ideas from the overall wedding theme. I encourage clients to provide me with some descriptive wording about their theme, rather than just what they would like to see in their invitations. For example, if a bride describes her big day as “modern, romantic, and fresh” that gives me an idea of where to start. If there’s a specific element of a stationery suite that a client really loves, I like to see that to incorporate into their design. However, I am unable to work with clients who request a reproduction of an existing design created by someone other than myself. Once receiving your inspiration, together we will look at color options as well as materials. The concept is how the final product will look, not including the actual design of the printed invitation pieces. Your concept might include envelope liners and twine or glitter and metallic paper. I will discuss different options, taking into consideration your budget for wedding invitations. After finalizing a color palette and materials, I will create a custom quote including any and all options we have reviewed. I require a signed contract and $100 deposit to begin on custom designs, which is applied toward your final total. This is where the fun begins! Prior to designing your first round of proofs, we will discuss overall look, layout, and font choices. Together we will look at options for accents, graphic, and/or artwork for your invitation suite. 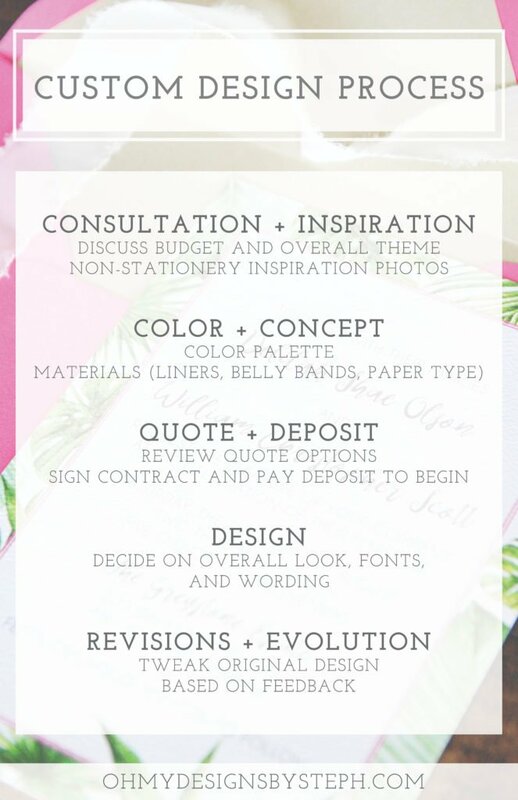 I will create at least two versions of your invitation to get the design process started. Between the variations, I will show different options for layout and fonts. Based on the starter proofs, you will decide which design most closely fits your vision and can make any changes. With your feedback, I will revise the original proof for you. The process of creating a custom design is an evolution. With open communication, I will edit the design to match your specific vision. After the invitation is finalized, I will create the remaining pieces to match. Revisions are included for these pieces as well, to make sure everything fits together perfectly! Interested in working together for your custom design? I would love to chat about your inspiration and see what we can come up with together! Get in touch with me here.